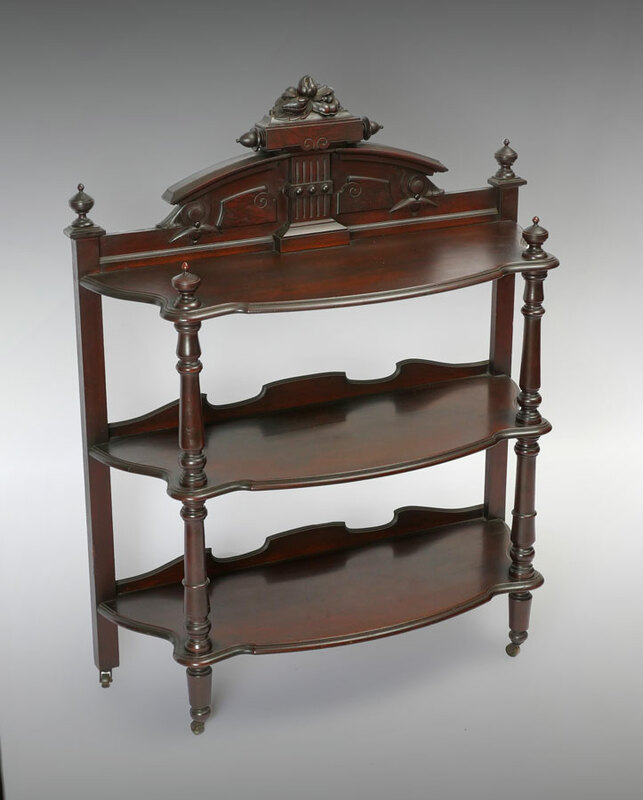 VICTORIAN 3 SHELF ETAGERE: Carved top crest with applied decoration, 3 serpentine open shelves, turned supports, all on castors. 53 1/2'' h. x 43 1/2'' x 16 3/4''. CONDITION: Wear consistent with age and everyday use.